The shooting of Venky mama began in late February and is progressing well. Venky Mama is bankrolled jointly by Suresh Productions and Blue Planet Entertainment on a very big budget, with Bobby aka KS Ravindra wielding the megaphone. Anup Rubens has been roped in to compose the tunes for Venky Mama while Prasad Murella will be cranking the camera. The shooting for Venky Mama will go on till June this year and is expected to hit the marquee later this year. 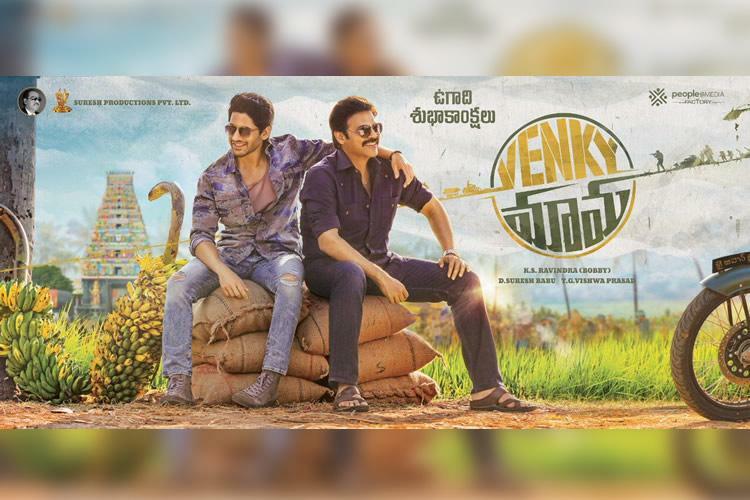 There are big expectations on this film as it will bring together real-life uncle Venkatesh and nephew Naga Chaitanya on the silver screens for the first time. Venky Mama has Raashi Khanna and Payal Rajput playing the women leads.